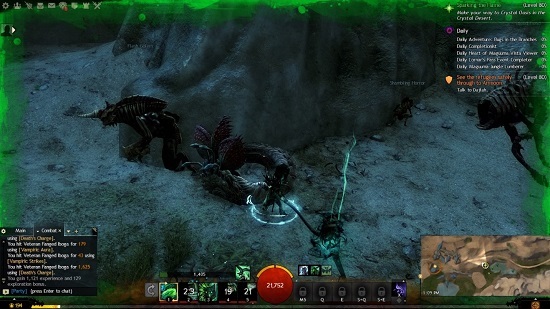 Guild Wars 2: Is ArenaNet a Victim of Misplaced Devotion? Weeks have passed since ArenaNet has laid off many of their staff in an effort to become a company of growth, rather than a company dwindling in a sea of missed deadlines and stalled projects. From the onset of what the general public understands of massive layoffs in the gaming industry, these ejections are usually a stark foreshadowing of a darker picture. While that may not specifically be the case in ArenaNets case, or at least, it may be too early to tell whether this restructuring may indeed produce a leaner more profitable ANet, it behooves us to postulate on the broader picture of what ArenaNet may be leaving behind, and why we may not be out of the woods just yet. Quite possibly the most disquieting point of the layoff announcement was the concession that there were several unannounced projects that will be canceled. As we push on through to their reaffirmation of their dedication to Guild Wars 2, and the inclusion of the Living World Season 5 hitting before any new expansion will be released, I personally can’t help but feel like ArenaNet isn’t diversifying enough at this point to forego another several losses of quarterly profits. Obviously, as a player, I don’t want them pulling any support for Guild Wars 2, as it is currently their main monetary generator. Unfortunately, word of another Living World season just isn’t enough to satiate my palate for something new and interest provoking. For those that have followed this column, and have taken note of my editorials specifically, you may remember that I mused several months back, on whether it was time for a Guild Wars 3. Many people agreed, while a subset disagreed, imploring that Guild Wars 2 could simply be updated and fixed along the way. Others hoped that a Guild Wars 3 would be the triumphant return to the kind of game they perused with the original Guild Wars. Nothing put this in perspective for me more than ArenaNets renewed commitment to Guild Wars 2. For the past short while, we’ve been getting meager updates, tastes of a living world story that have started to feel stale, and new mounts that are meant to placate rather than incite the feelings of excitement and adventure that Guild Wars 2 is well known to develop. Misplaced devotion is how I describe it in my title. The last thing I want to hear from ArenaNet, is that they have decided to cancel other projects in lieu of keeping the status quo with their current project, despite their own concessions that they’ve been losing revenue as the market becomes more saturated by other games across many different genres. What they are expressing is that Guild Wars 2 is not sustainable, and yet, they haven’t given us any insight on what we should look forward to. It’s plainly obvious as to why announcements of reorganizations and losses of staff throw up red flags and lessen morale for players. We have no idea when we will see something different. A new game, even of the mobile persuasion would have been an encouraging improvement even if it didn’t entirely mesh with what players were expecting. I love Guild Wars 2. ArenaNet has created two games that have found a place in my heart, and have great nostalgia for me and my friends. That doesn’t mean that I can simply accept the current state of affairs as they are. Maybe there are some out there that want nothing more than Guild Wars 2 to stay the same, but as someone who has read the subtext into what ArenaNet is saying; a less than subtle condemnation that the day to day development cycle isn’t cutting it financially, I can only hope that ArenaNet has something big behind the curtain or I fear we may be seeing many more losses in both their future, and ours. 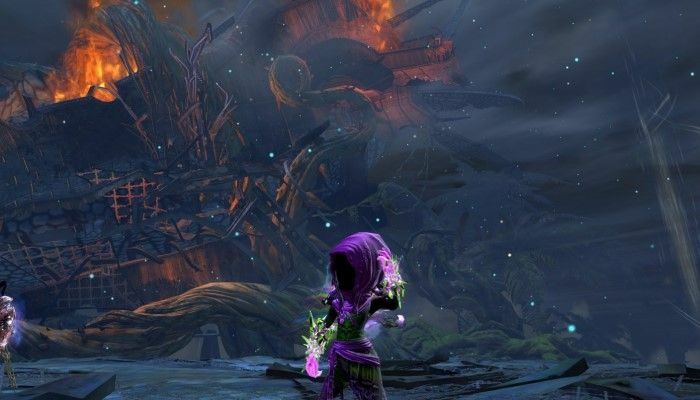 MMORPG.com » Games » Guild Wars 2 » Columns » Guild Wars 2: Is ArenaNet a Victim of Misplaced Devotion?